What is cold storage and why do we use it? Cold storage is a safe technique used to extend the bare root season, which normally lasts until early April depending on the weather. Cold storage involves the use of large, cold containers, powered by solar panels in our case to reduce environmental impacts, and these stores trick plants into remaining dormant by simulating light conditions and temperature levels similar to those we experience in winter. The store is kept dark and at a temperature of -3C, which keeps the plants in what is known in the horticultural industry as “suspended animation”. By creating artificial conditions, the plants remain dormant even as the weather outside begins to reach temperatures that would normally induce the growing season to begin. Our hedging plants can remain in cold storage until the end of May. Due to limited space in our cold stores and the dormancy habits of some species, it’s not possible to cold store all our hedging plants. Some of our taller plants would take up too much room in the store and evergreen species never enter full dormancy, so are not suited to cold storage. Because of this, our evergreen hedging species and our taller plants are only available to order until mid-April, within the normal bare root reason. After this they cannot be lifted from the fields until the following season. 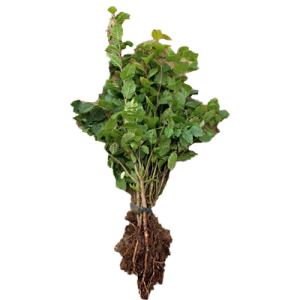 However they can be pre-ordered from the autumn for delivery in November, which is the start of the bare root season. This entry was posted in Information, Planting Advice, Seasonal Gardening. Bookmark the permalink.